I'm doing a full strip down playfield cleaning/rebuilding. Everything is working but stumped on flashers. Was fortunate to have a few Sys11 machines over the few years and never had much go wrong. 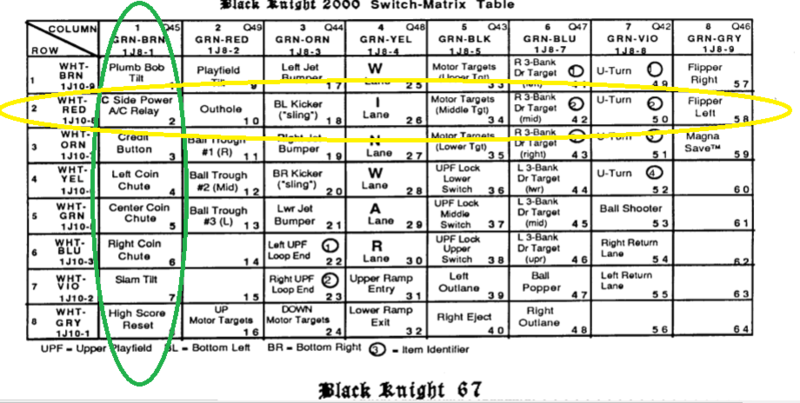 This is a super nice original Black Knight 2000 with original and no hacks anywhere on the board. This is what I tested and confirmed so far. Everything else works on game 100%. 1. 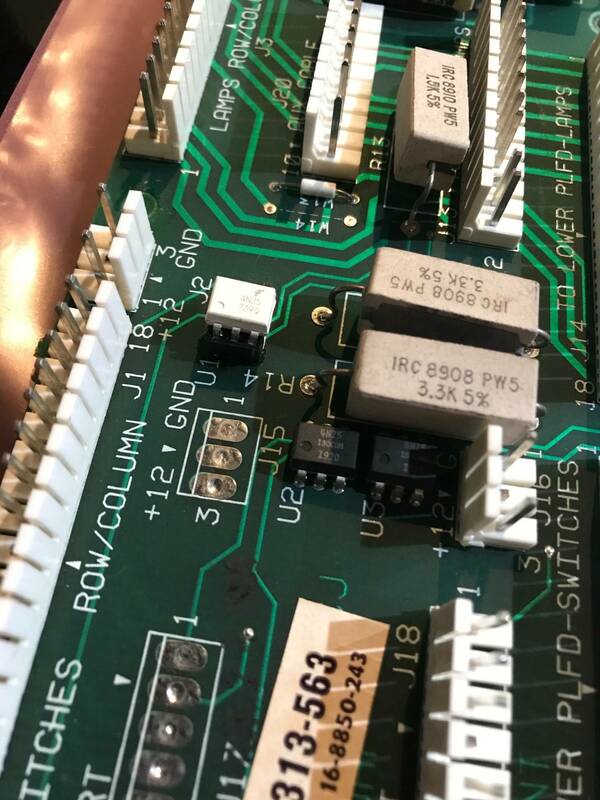 A/C select relay is clicking in test. I can actually see it doing so as it's a clear cube relay. 2. 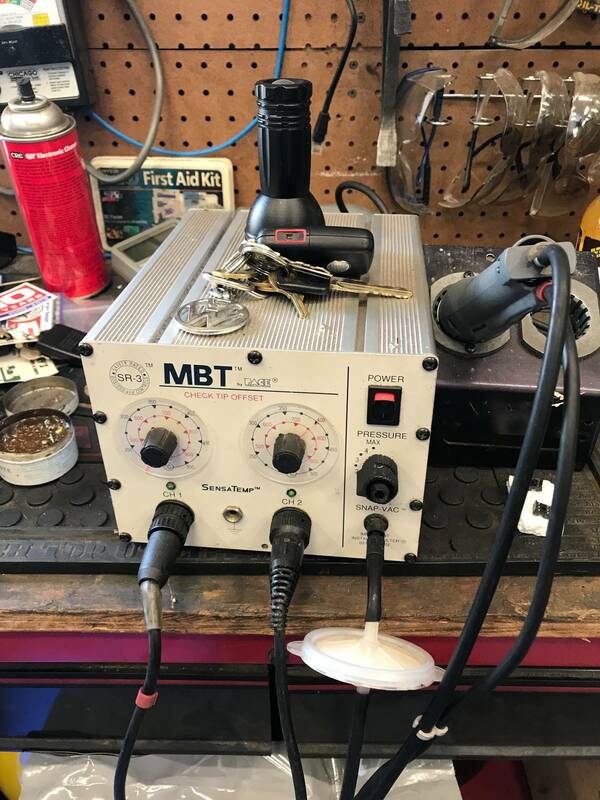 When grounding Q8 I put the machine in coil test mode. All flashers work with exception of two by flippers. (Owner said this was happening before so may just be the software or another issue.) So I clearly have power.. Assume AC relay or its driver is why I have no flash lamps since they’re all on C and I have all A solenoids working fine. Owner confirms they were working with exception of the two lower at flippers. 3. Checked all fuses while in backbox by testing them with a meter out of the holders. Found a few that were oversized and put original value fuses in their places. F2C checks out fine when grounding Q8. 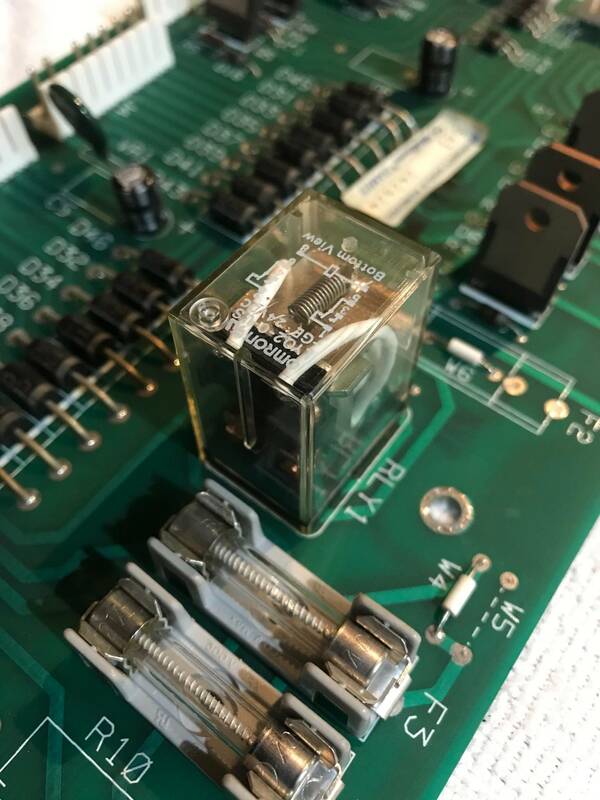 Maybe I'm confused but I'm looking at the clear cube relay on the AUX board. There's also a yellow one on the CPU board. Which one should I be checking and am I on the right path or is there something else that actually is driving the A-C select other than Q8? Thank you, I'll be checking this all tonight! Assuming they're good, safe to assume a new relay needs installed? All flashers work with exception of two by flippers. Well then the A/C relay is working, if it was not working then none of the flashers would work. You didn't say which flasher wasn't working. I on the right path or is there something else that actually is driving the A-C select other than Q8? This turns on the relay giving power to the flash lamp bulbs, but you still need another transistor to turn on to apply the ground to complete the circuit. Thanks Grumpy. Sorry, I missed saying that all the flashers are not working. I made it kinda confusing; two never worked. Let me see if I'm following correctly. A pair of flashers never worked when you got the pin and now no flashers are working. 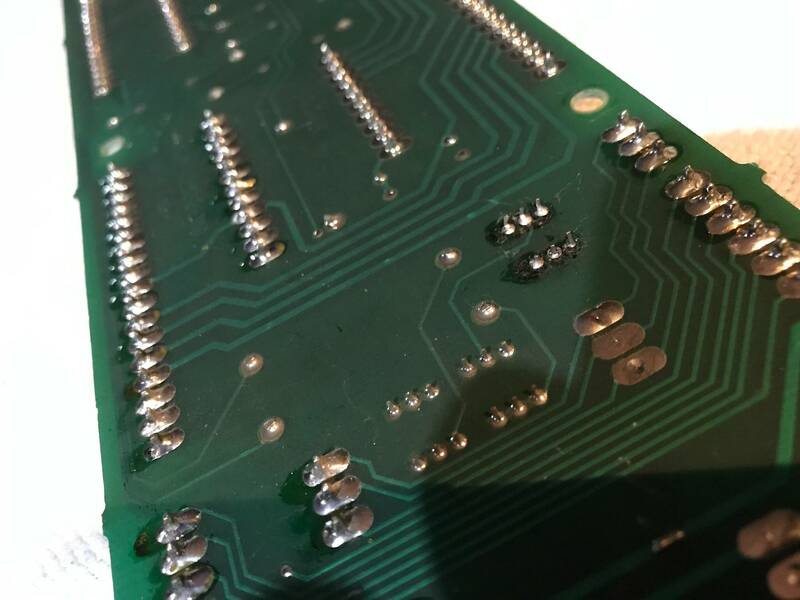 Looks like you may have unsoldered some 906 sockets. Is it possible you left off a orange wire? All the power for the flashers is daisy chained on the orange wire. Yes I did check. But if there was a break, why would they all work if I ground Q8 and run coil test mode and they all work when in A side tests? The flashers cannot possibly work on the A side. They are on the C side. You are not understanding the coil multiplexing. 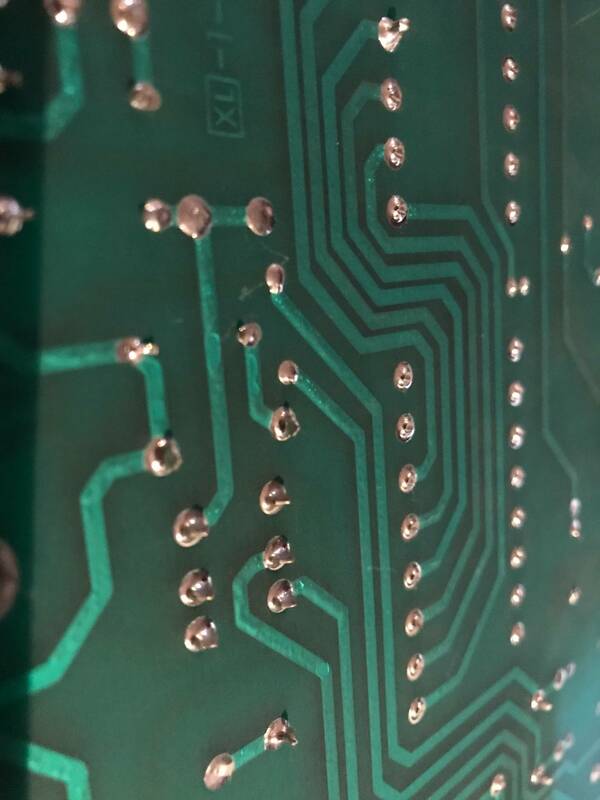 The transistor completes only the ground path. The A/,C select relay switches in the power side - it applies voltage to the flashers or the coils. 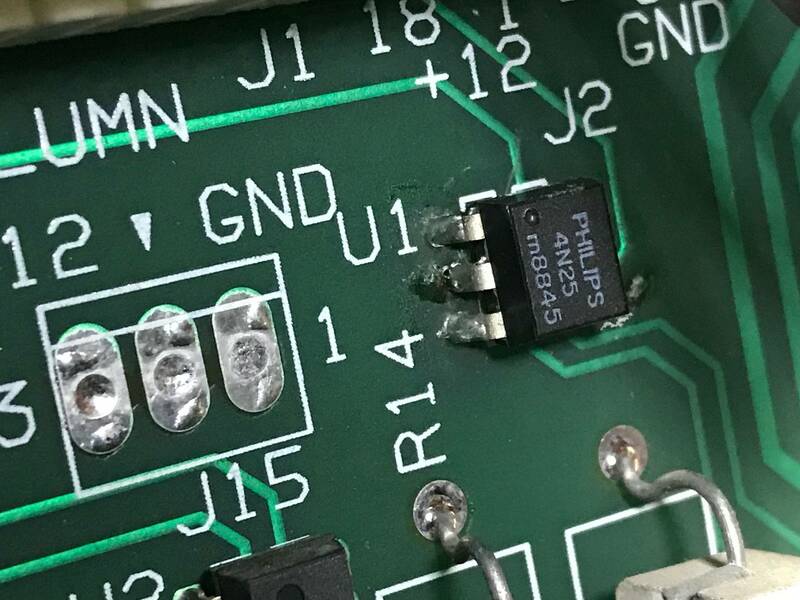 Grumpy is correct, if there is a break somewhere in the path between the flasher source voltage, the relay, and the daisy chained positive side of the flashers, none of them will work. Even if the relay is switching properly.. But if there was a break, why would they all work if I ground Q8 and run coil test mode and they all work when in A side tests? Let me see if I'm following you here. 1st. You run a coil test and the coils work but no flashers. Correct. 2nd. You ground Q-8 metal tab and then you run coil test and the flashers work on both the A side and C side but no coils. Correct. Correct and understand that. I guess I’m not clear on what is working/when working. Grumpy last post is correct in that in that I can make flashers work when grounding out the relay to force C side on. I’m a building controls guy so maybe I’m overestimating my understanding. Optocoupler U1 on interconnect board. Diode test the optocoupler. It's probably bad. Wild guess based on the information provided. This got me when I was building my solenoid test board for my bench rig. The issue is that the system is distributed across multiple boards using multiple components. It's NOT obvious. Then your problem is on the CPU board. Do you have a logic probe? No but hopefully Gerry and/or Joe have one. I'll report back but may end up sending them out as I don't do board work other than a transistor or something. 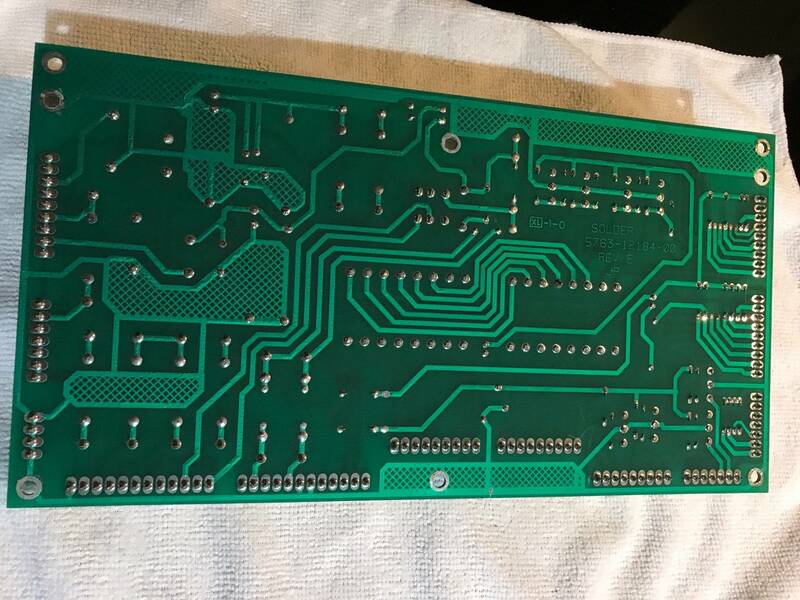 The board is nearly perfect and don't want to make it not look so great! Try this, put the game in switch test. Then remove the balls. Now there should not be any switches showing up on the display. Now ground Q-8 metal tab. 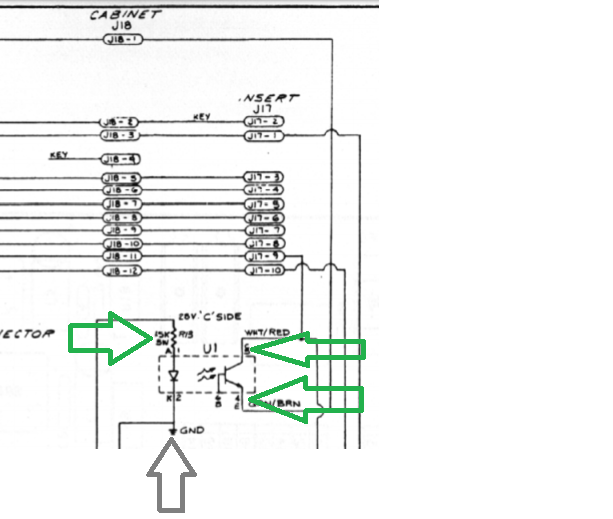 A/C relay should click and you should see A/C relay show up on the display. Does this work? Ok yes it does not show relay changing. It does click and can see it make contact but no indication in switch edge test or switch levels. So that explains why I’m not seeing it. It’s not showing up. Took aux board out and reflowed relay contacts. Pics from before. I think DumbAss is on target here. 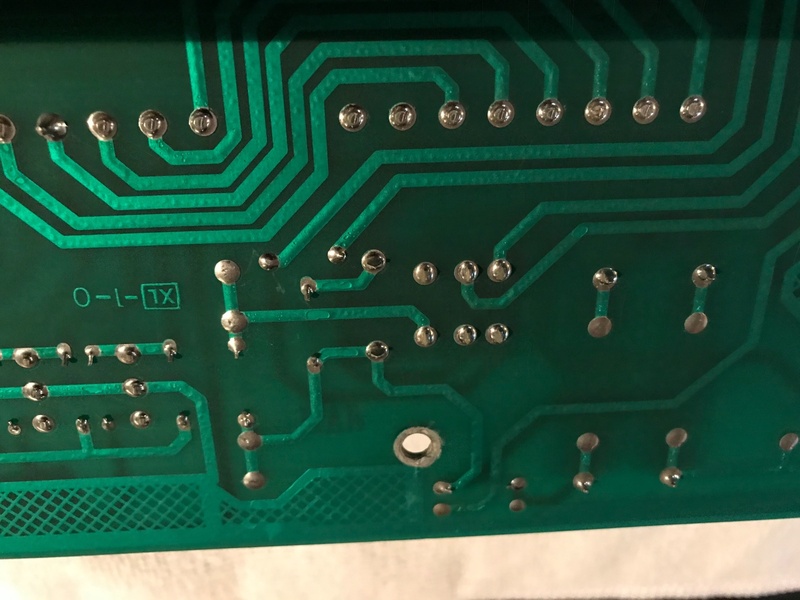 His idea of the opto isolator on the inner connect board, or a bad connection for the switch matrix wires on the inner connect board. Thank you! I’ll likely send them out as that’s way beyond my comfort level. Will report back. 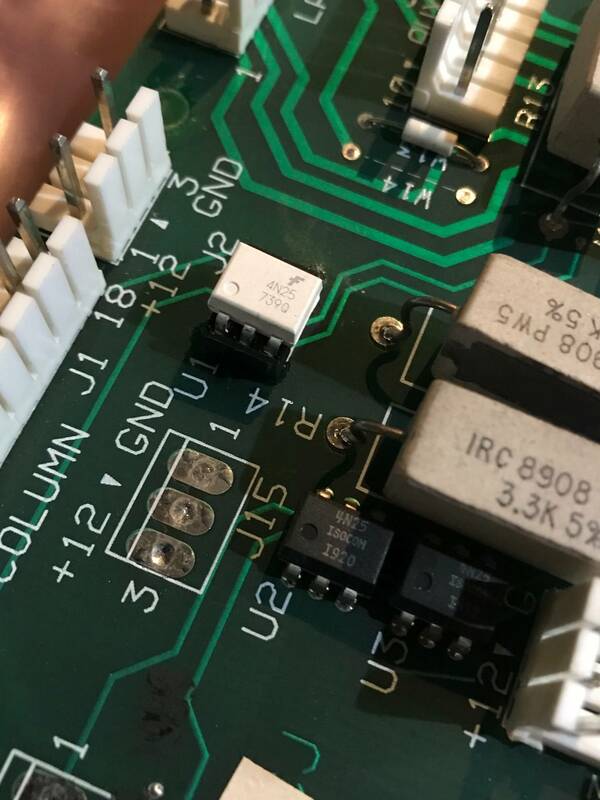 If you have a DMM you can follow the instructions @ http://www.pinwiki.com/wiki/index.php?title=Williams_System_9_-_11#4N25_Opto_Couplers_in_the_Switch_Matrix and see if the component is bad. I was thinking why Williams added this (in Jokerz! - after Taxi) and the reason dawned on me. It's because if the relay fails then attempting to power the flasher with a failed relay will fire the solenoid instead of the flasher and the game will behave as if it were possessed. 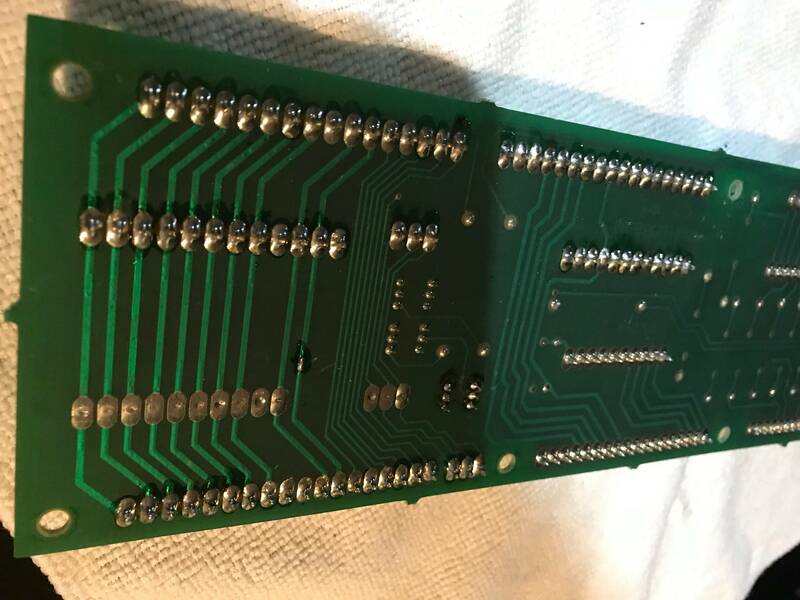 It would still work because the solenoids are on the A side whereas initial Data East games reversed the A/C and a failure of the A/C relay would simply power the flashers and no solenoids would fire making the game a boat anchor. 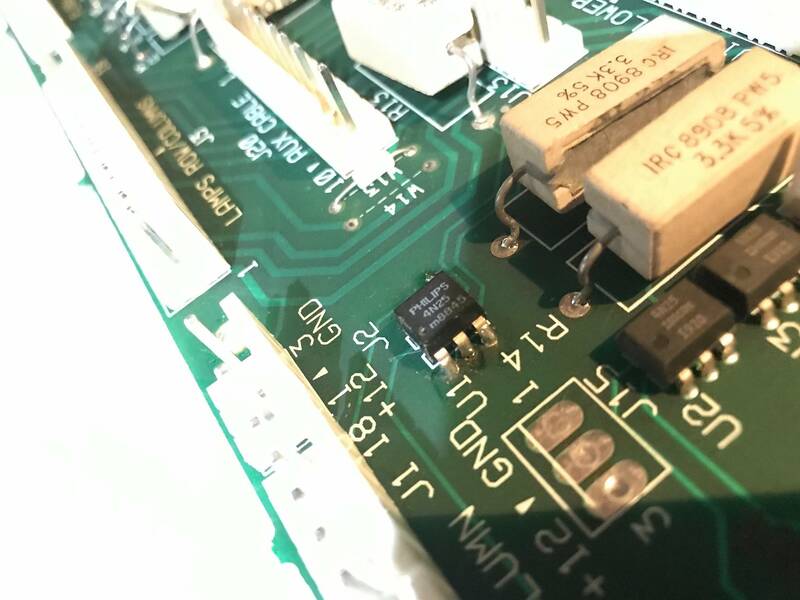 The 4N25 optocoupler allows the software to verify the relay engaged the flasher power. 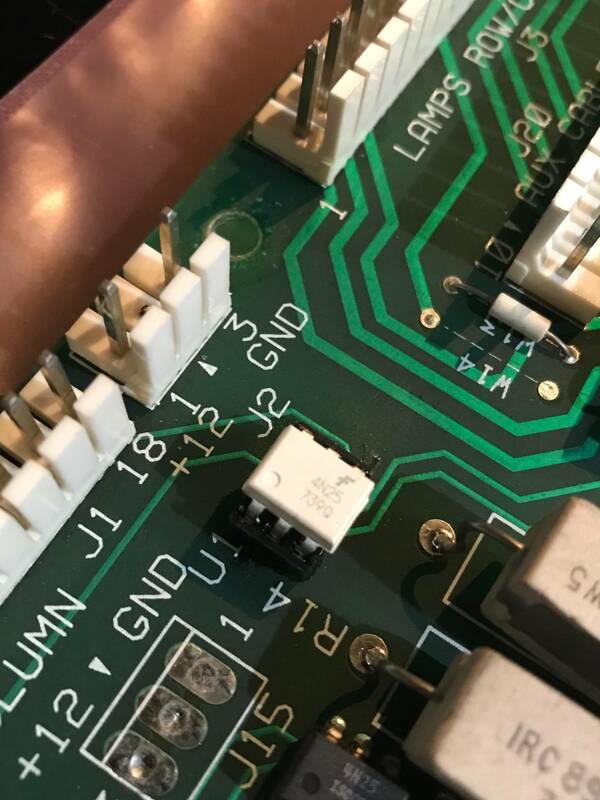 If the relay doesn't engage the software doesn't ground the drive transistor because that would ground the solenoid and not the flasher (in the A/C relay failure case) - i.e. your game is not possessed. There are some tests that you could do. You can check the resistance of R-13. You can jumper pins 4 and 5 of U-1 while in switch test. This should show up as switch #2 C side power A/C relay. You can check U-1 pin 2 for ground. You can test U-1 pin 1 for voltage while you ground transistor Q-8 metal with a jumper to ground. Doing this will confirm that U-1 is bad and needs to be replaced. Thank you guys both. Will check these both out tonight and report back. Hoping to post a solution as well! U1, Nothing jumping 4 to 5 in switch test. U1,Pin 2 to ground is there. U1, No power to Pin 1 while jumping Q8 to ground or when not. But clearly you guys nailed it as soon as I went to U1. Monkeyed with before and looks like it has a few issues. Also not the same part number as what’s in U2 & U3. 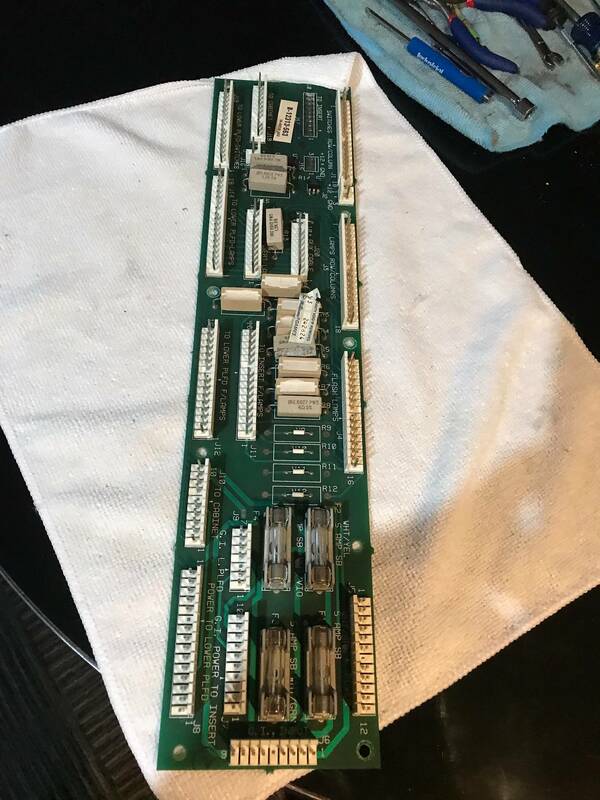 Why don't you remove the interconnect board and post pics of both sides. Good call. Some touch ups overall. Tested all resistors while out and all are right at value listed. Check continuity from U-1 pin 4 to J-1 pin 18. Check continuity from U-1 pin 5 to J-1 pin 2. Check continuity from U-1 pin 1 to R-13. Check continuity from J-5 pin 9 to R-13. Grumpy, I do have continuity to all four of those points. I do have continuity to all four of those points. Something isn't adding up. 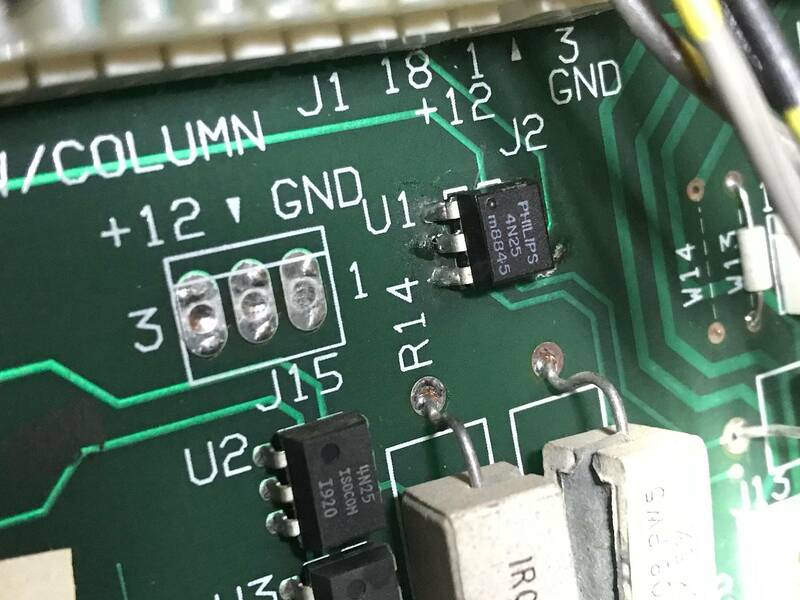 If there is continuity for U-1 pins 4 and 5 to J-1 of the innerconnect board, and when in switch test nothing shows up when you short pin 4 and 5 of U-1. Then you must have some other switch issues that you are not aware of. 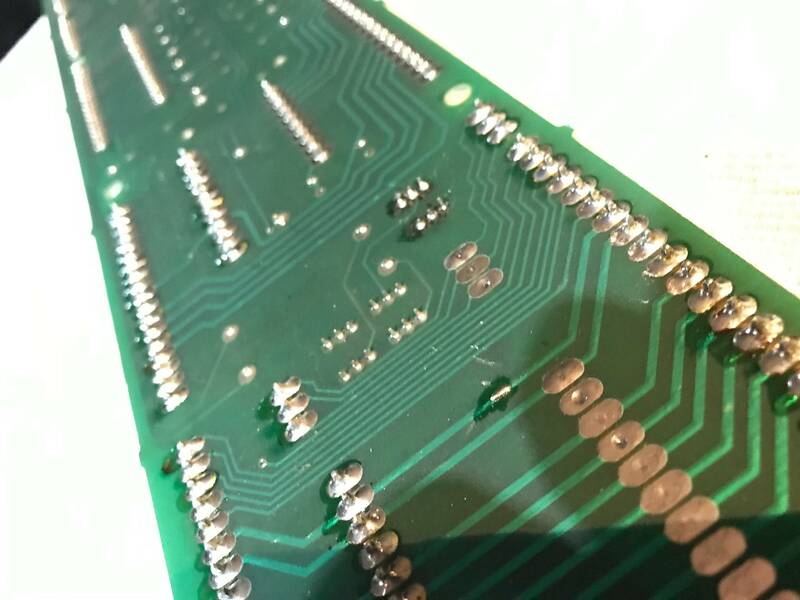 There must be a wire break from J-1 of the inner connect board to 1J-8 or 1J-10 of the cpu board. 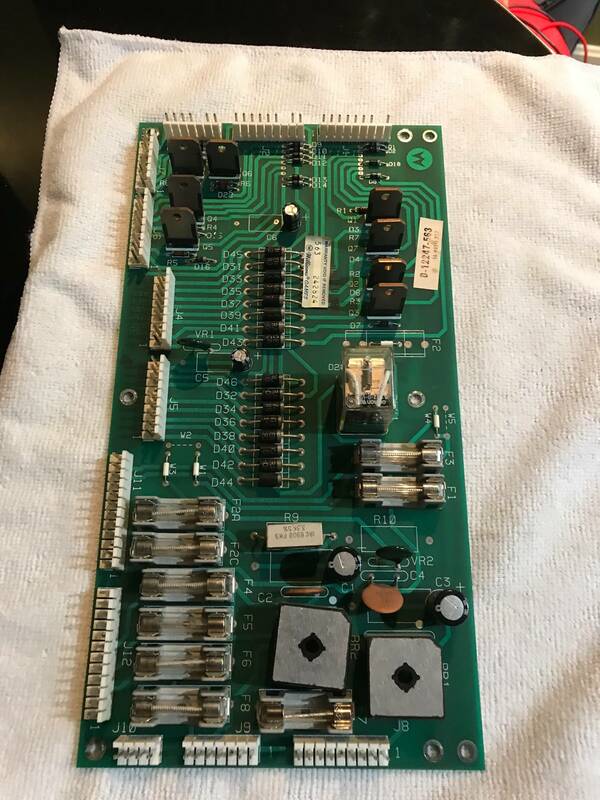 Innerconnect board 2J1 pin 18 goes to CPU board 1J-8 pin 1 and 2J1 pin 2 goes to 1J-10 pin 8. I will need to retest for you Grumpy. I did get it working after posting. I think I tested something wrong on your first request of values. 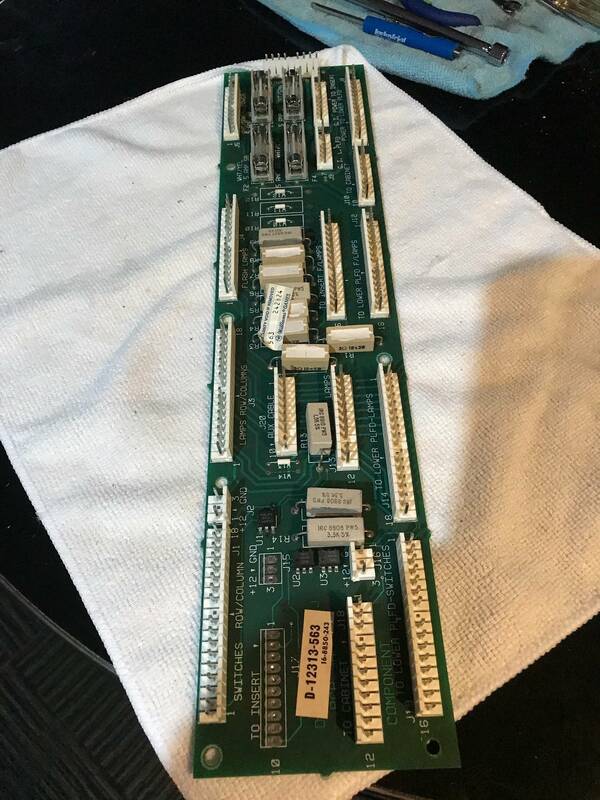 Learning a lot about the Sys11 and as much as I hate board repairs and diagnostics, it’s taught me a lot about these systems. Thank you Grumpy! Hey, this is the best part of pinball. New optocoupler installed, tested, and used in the machine to test: and flashers work 100%. Went with a socket on new OC to hopefully help out the next guy or gal that has an issue here. Huge thank you grumpy & dumbass for walking me through as I learned way more than I had thought I could. Talked with the owner too. He did say he wasn’t sure if all the flashers worked and with as much GI flashing I can see why. But wow those flashers really add to the playfield and back box during play. It was all DumbAss, he put you onto U-1 right away. I was just along for the ride.